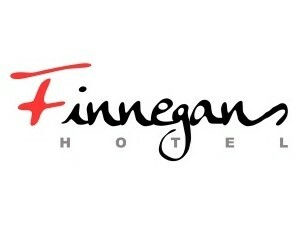 Finnegans Hotel is prominently located on the corner of Darby and King Streets in the centre of Newcastle CBD. Opening Monday to Saturday from 11:30am Finnegans offers a great place to unwind through the week with a coffee, beer, delicious meal or a combination of all three. Come Friday and Saturday nights Finnegans turns into Newcastle's premier entertainment destination with the best in local cover bands in the Main Bar, House / Electro in Halo Bar and Top 40 / Dance in Celts Bar. A genuine warm pub atmosphere with a huge 103" Plasma TV showing sporting events, fantasic bar meals, and the best live bands. There is no better venue than the Finnegans Hotel. Looking for a venue where you can enjoy yourself in a sophisticated environment offering the everyones favourite drinks & Newcastle's best DJs? The Halo Bar has a funky atmosphere with comfortable lounges and great company. With a state of the art sound & lighting system Celts is the best place to spend your Saturday night. Great value, great quality and friendly, professional service will make your experience at the The Clarendon a memorable one. 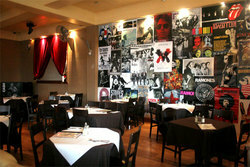 Large group bookings are welcome or a function can be arranged. Our beautiful Art Deco bar provides a great meeting place for after work drinks or the start to a special night out. Enjoy the atmosphere inside or step out into the spacious beer garden, enjoy the fresh air and catch up with good friends. Talented bar tenders will keep your taste buds tantalised with new cocktail creations as well as large selection of boutique beers, fine Australian wines and premium spirits. Look out for our constantly changing celebrity beer taps – pouring the finest in limited edition and boutique beers. Live entertainment is provided in the beer garden on Friday & Saturday nights. The Dockyard has established it self as a laidback and relaxing place to grab an after work drink or have a lazy Sunday lunch. Overlooking Newcastle Harbour you can enjoy a glass of premium wine or a refreshing beer from the constantly changing and updating beer menu, or after something special? Ask the staff for one of our recently updated cocktail lists or grab the crowd favourite; a Corona Bucket and pay no extra on weekends or public holidays. The Dockyard is a great venue when heading out in town, grab a drink before the theatre or the movies or drop in any time with your friends for a leisurely afternoon of Tapas'and conversation. Reservations are not needed, just drop in early or get there late and our friendly staff will accommodate you and your guests! The Dockyard is the newest bar in Newcastle that gives you the chance to have a casual and relaxed drink with friends while overlooking Newcastle Harbour in the most vibrant precinct - Honeysuckle. If you're having a drink with friends on the weekend, colleagues after work, or looking for somewhere in the Newcastle CBD to dine with the family, then take a walk along the Foreshore to the Honeysuckle Precinct and grab a bit at The Dockyard. We are more than just a restaurant - we are a relaxed eatery where you can have lunch or dinner in al fresco comfort overlooking the water of Newcastle Harbour. No other Newcastle hotel offers as much as The Beaches. This iconic pub overlooks the waves of the merewether surf, and has everything you need in house to enjoy an afternoon in the sun or a big night on the town. Live music with the hottest local bands, the Beach Cafe bistro restaurant open for lunch and dinner seven days a week, the Aqua Functions rooms for celebrating a wedding, birthday, engagement or holding a business conference or seminar, and accommodation upstairs for overnight or extended stays. 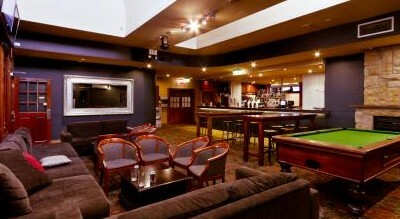 The Beach Hotel Merewether - Newcastle's favourite pub. The Beach Hotel's Aqua Bar and Aqua Cellar Function Room are ideal venues for occasions such as 21st birthdays, 30th's, 40th's, 50th's, engagement parties, retirement dinners, wine group tastings, corporate functions, social club events and Christmas gatherings. And what could make for a more spectacular and memorable Newcastle wedding venue than celebrating your reception overlooking the ocean with your guests? Looking for Newcastle's premier entertainment venue. Look no further than the Hotel Delany. Located in the heart of Newcastle’s nightlife and eating emporium – Darby Street, the Del as it is affectionately known to the Hunter’s elite has everything you need for the perfect day or night out. 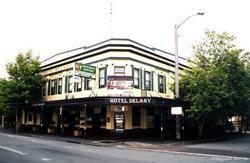 Hotel Delany…More than just entertainment. Ensure your event is an affair to remember. Ivory can cater for any occasion including weddings, parties, conferences and meetings to formal dinners; from 50 to 250 people. Guests will enjoy the plush décor like the open fire, baby grand piano and private outdoor courtyard. Plus drinks can be served from your own; dedicated bar. 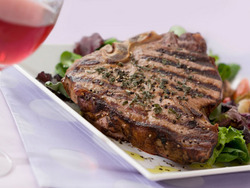 And our extensive packages ensure our many food options suit every taste and budget. Ivory has full wheel-chair/lift access and private bathroom facilities. At the Hotel Delany, we have all your entertainment bases covered. Enjoy a fabulous meal in Cravings Restaurant - serving casual eats to modern Mediterranean cuisine seven days; lunch and dinner. Or chill out with a casual drink in The Well bar while taking in some of the Hunter's finest musicians, DJ's and performers. Or for that special occasion, pull up a lounge and enjoy top shelf drinks and cocktails in Ivory. Or for something more fast paced, check out our state of art TAB, or dance the night away with our rockin’ bands Friday and Saturday night. With everything under the one roof, the Hotel Delany really is more than just entertainment. Drop in and enjoy a beverage from our fine selection of premium wines, domestic and imported beers and signature cocktails. Our extensive wine list celebrates local success whilst honouring timeless examples of classic wine making. We have 12 different local and international beers on state of the art, ice cold taps plus a vast selection of bottled options. Enjoy the refreshing and exotic flavours of our signature cocktails, made by passionate professionals. Our modern, innovative menu changes seasonally and uses only the freshest of ingredients. Stop by and try one (or two!) of our selection. We promise you’ll love it..
Junction Hotel is an impressive venue that will perfectly lend itself to all aspects of entertaining. Luxurious in feel and conceptually original, Junction Hotel can host a variety of events from a simple get to together to a lavish ‘no expense spared’ cocktail party. 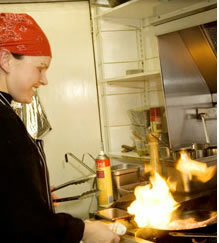 We offer a selection of food created by our award winning chefs; who can tailor any menu to suit your taste or budget. With an extensive selection of cocktail and beverage menus to suit all Functions. Our aim is to commit ourselves to providing high quality functions and special events and believe with the state-of-the-art venue, event management team along with our warm and friendly service, we can provide the total event solution ‘business or pleasure’ to ensure your event is remembered an absolute success. 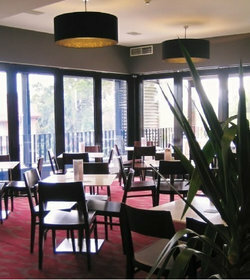 Located in Merewether, the Mary Ellen Hotel has recently undergone a full internal and external refurbishment. The bar offers 25 of the best beers on tap, from local to premium, specialty, craft and imported beers, there is something for everyone - an unrivalled experience in Newcastle! The bistro offers great value meals 7 days per week, including it's popular $11.90 Schnitzels all day Tuesday and Wednesday, and $11.90 Dinner Specials on Sunday, Monday & Thursdays! The hotel hosts trivia on Tuesday & Thursday nights and live entertainment Thursday to Saturday nights. The bottle shop boasts a large range of beers, wines & spirits. We also have a NEW range of gourmet cheeses, dips and deli items. If you are after something we don't stock we will be able to source it for you. 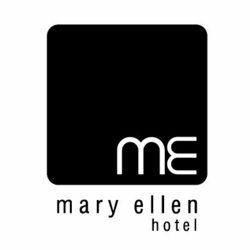 The Mary Ellen Hotel boasts 6 large plasma screens throughout the hotel as well as a "Sports Wall" with 8 dedicated sports channels. The Registered Club now known as Wests Mayfield has had as many names as associations. The Club was built on land adjacent to Stewarts and Lloyds for employees as part of ‘Project Recreation’ which was launched in 1937 by the company to provide recreational facilities for activities like soccer, league, tennis and bowls. This was the first complex of its kind by a major Company in Newcastle for the benefit of all its employees. 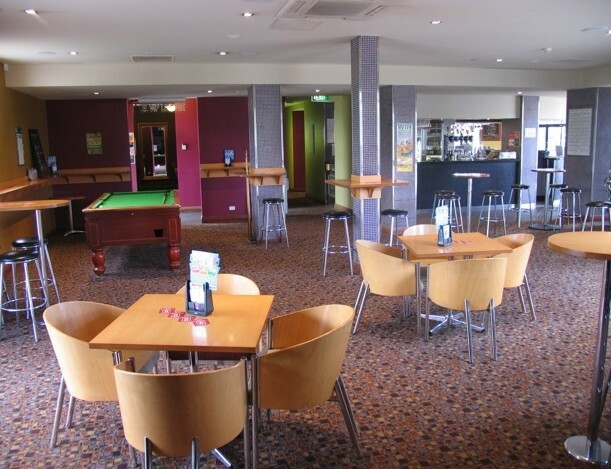 The Club underwent many transformations adding more sporting facilities like squash courts, as well as a bowling club with dining, function and bar facilities. The Recreation Club was one of the few clubs to own its own holiday complex, six self-contained holiday units at Manning Point near Taree. In February 1982 the name of the Club was changed to the Tubemakers Recreation Club Limited because of the change of company name. Under this banner the club again underwent major extensions and renovations. 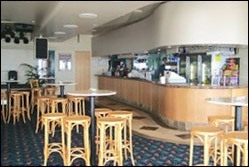 The clubs restaurant, function room, auditorium and existing lounge areas were refurbished. In 1989 the club and Tubemakers disassociated by mutual agreement to assist the Club to expand its membership. The change of name from Tubemakers Recreation Club to Club Phoenix giving the club a new identity, with the phoenix being the clubs logo. Continued renovations including one of the first synthetic bowling greens in Australia and the building of the multilevel car park put the Club into a financial position where amalgamation was required. The Albion Hotel provides a great environment for families and a refreshing new kids menu that will satisfy all tastes. We also offer FREE hire of portable DVD players and a selection of favourite childrens movies to keep the kids entertained whilst making Mum and Dad's experience even more relaxing. 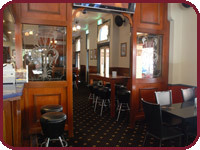 The Albion Hotel is located conveniently to the CBD of Newcastle, harbourside on Hannell Street in Wickham. The Hotel was built in 1922, has a long and colourful history and has recently been extensively renovated. The Albion is now a stylish, comfortable and affordable hotel that boasts full bar facilities and a fabulous menu available 7 days a week. The refurbishment took six months to complete with the interior designed to be welcoming, warm and modern while being sympathetic to the character of the era in which the hotel was built. The deep reds, chocolates and timber combined with soft colourful furnishings provide an excellent environment in which to enjoy a fabulous menu and a fine selection of wines and refreshments. The Grand Hotel Newcastle combines the charm of yesteryear with the vibrancy of modern times into a hotel that caters to the social crowd and more mature professionals alike. As one of Newcastle and the Hunter Valley's oldest pubs that dates back over a century to 1891, The Grand is still going strong and welcomes you to be a part of its future. The Grand Hotel is located right across the road from Newcastle Court House on the corner of Bolton and Church Streets. Inside, you can find two great bars for a quiet drink, the Function room for larger events, a superb bistro with the tastiest food for lunch or dinner and tidy accommodation upstairs for short or long term stays. If you are planning a birthday party, a 21st, a work function, trivia night or any other party or event, consider the Grand Hotel Function Room. We provide an excellent venue and service to make your night one to remember. Our courteous staff can take care of all your needs including event preparation and decorations. The Grand Hotel Bistro can even look after all your catering needs whether they be a few trays of appetizers, a buffet style dinner or a beautiful banquet. Leave it up to us to take the stress off your mind. Our function room at The Grand Hotel can cater for groups of up to 60 people sitting or 100 people standing. Our pricing is extremely competitive and we guarantee you will not find a better value for money location. 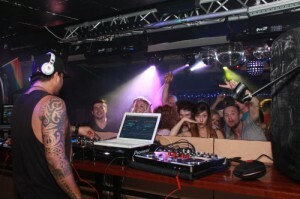 We can even provide a DJ that will play the music you want and keep the party rolling to the early hours. The Grand Hotel Function Room can be booked Friday and Saturday nights. 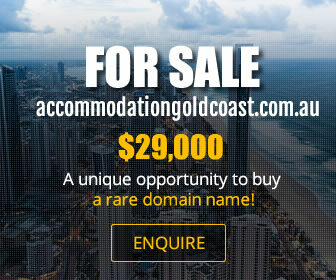 Please call us on (02) 4929 3489 with any enquiries you should have. Our family run hotel, located in the heart of Newcastle’s business and cultural district, is ideally situated for both business and leisure. 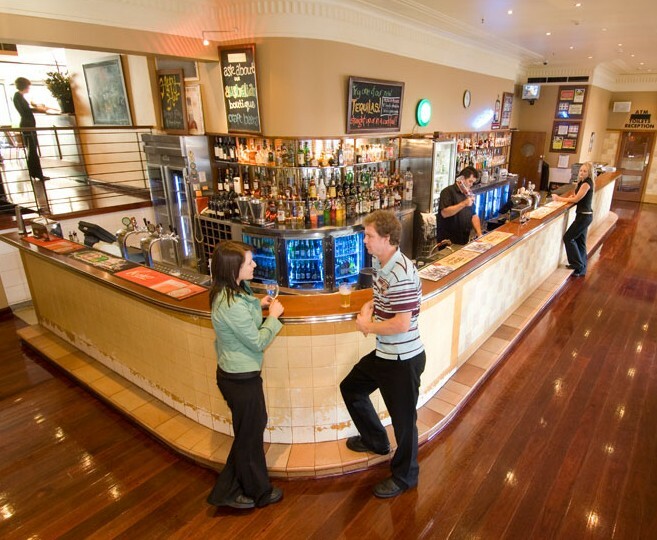 The CBD Hotel is the perfect venue for a great pub meal with friends, in a relaxed and casual atmosphere. With a changing $12 lunch menu full of tempting favourites, great for groups, quick work lunches or relaxing long social lunches. Dinner specials are available midweek Tuesday to Thursday. The Bistro makes an ideal location for large gatherings on the weekend for lunch and dinner Friday and Saturday. Short menus are available for big groups of 20 and set menus can be easily arranged. The CBD is a fantastic party venue, holding functions for all occasions including 21st Birthdays, Engagements, Weddings and Christmas parties. An excellent platter menu selection provides ample choice along with set menus for sit down functions. The hotel offers affordable budget priced accommodation, central and close to everything in Newcastle for the traveller or weekend visitor. Accommodation starts at $50 per night for a queen week stay or $89 per night. Convenient, clean facilities with friendly staff that go the extra mile. Our facilities include a 180 seat Bistro, several function spaces, a huge beer garden with a childrens playground, newly renovated pub style accommodation and a weekday café. All Newcastle’s top cultural and leisure spots are within easy walking distance, including Darby Street, Civic Theatre, Museum, Art gallery, Honeysuckle & harbour foreshore. 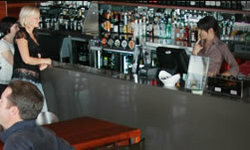 Nestled between Newy’s working harbour and leisurely beachfront, the pub is an ideal choice for functions big or small. While our three upstairs ballrooms, boutique-style hotel rooms and rooftop patio are in the infancy stages of design and renovation [after being left vacant and derelict for the last 20 years] the downstairs pub and bistro area of this iconic art deco building have many features that will ensure your function exceeds expectations! A focus on live entertainment and original music (six days a week…!) means there is always something happening here at the Great Northern Hotel. The Great Northern Hotel has three distinct areas that can be hired out in entirety or sectioned off for smaller groups. Whether it be a canapé menu, or sit down feast, we’ll help you develop an event that suits your style and budget. We do not charge room hire fees, and have no minimum spend. We feel that these types of fees are better spent on the good parts of any memorable party that your guests will remember – that being delicious food and tantalizing drinks! The various function rooms are available seven days a week, lunchtime through to late. We have three rooms, each with it’s own bar, to suit all function requirements big and small.